Coordinate data from Pine, Yaish, Adler for unstrained and 2.5, 5, and 10 percent strained. DFT with Quantum Espresso, data reformatted for AViz input. Due to parameter choices, QE splits rings into quarters. Visualization is with binned color, either sharp contrast or selected to suit analyglyphic stereo. Data split into ranges of density. Analysis of width data: (Grosso, Hashibon, Joan Adler and Omri Adler (not a relative). 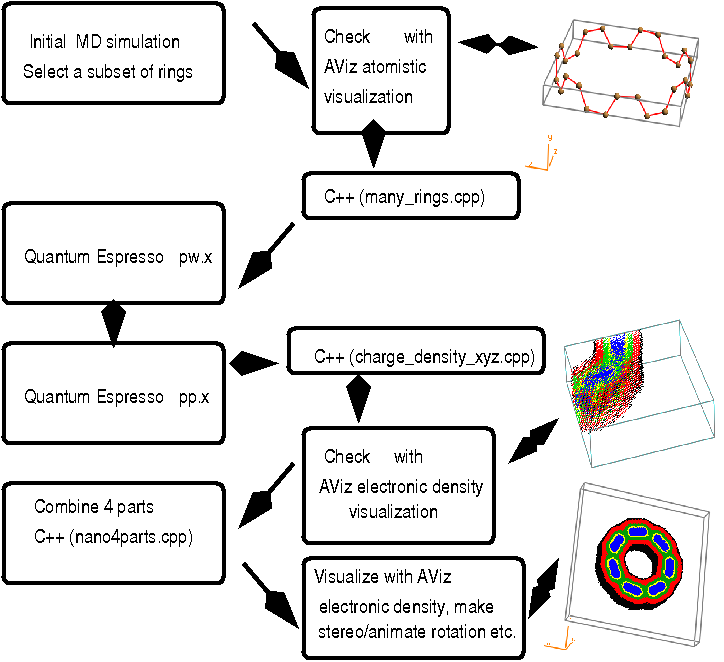 Matlab analysis of quarter rings.